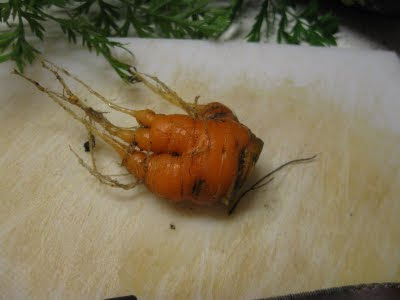 The first batch of the carrot that we pulled out from our garden. Is such a tiny winy one. We actually hope that they were those long carrots that we buy on the market. But no. It is not. Too tiny that might have a couple of bits on it. I don't usually eat raw carrots but it tasted sweet one. Yet I am glad to plant some of the fruit that way we can save a little. Next year hopefully it will be more. 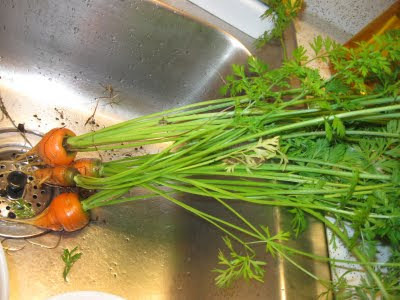 wow sis, you've grown your own carrots...ako yata hindi green thumb...namamatay lang tinatanim ko.